Lost Toys is a game that is about walking away satisfied, not necessarily about having fun. Where many games on tablet and mobile play up the social aspect, Barking Mouse Studios chose a different tact with their first game. They’ve bucked many of the competitive aspects inherent in many video games and made something that caters toward introverts. Danielle Swank, developer of Lost Toys, described it as a rotational game where you simply fix things. The game takes place in a distressed room where the player is tasked with putting a broken toy back together with the pieces presented to them. Barking Mouse Studios is comprised of two people — Swank and partner Jim Fleming. After years of working on mobile apps, they decided to make their own game. Swank described herself as an artist and self-taught developer while Flemming described himself as an engineer and self-taught artist. Their philosophy behind lost Lost Toys was simple— make the type of game they envisioned themselves playing. They came up with the concept during a visit to the Exploratorium, a science and art museum in San Francisco. The inspiration was an art exhibit that played with perspective. Both developers had their own interpretations about what their own game is about. Swank said she thought of it as a non-scary horror game. “It’s creepy and eerie, but it’s also hopeful because you go through and make things better,” she said. Lost Toys is the type of game you rarely see on mobile and tablet, which is why it seems so refreshing. It’s a game that isn’t about creating tension as it is about releasing it, which is the biggest draw. Jose is a straight shooter who always goes the paragon route. 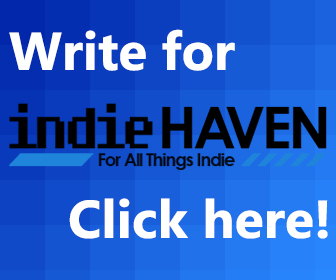 He joined the team at Indie Haven to spread the word about indie games all across the galaxy. When not aboard the Normandy, he lives in the San Francisco Bay Area playing video games and plotting ways to rid the world of games like Colonial Marines.